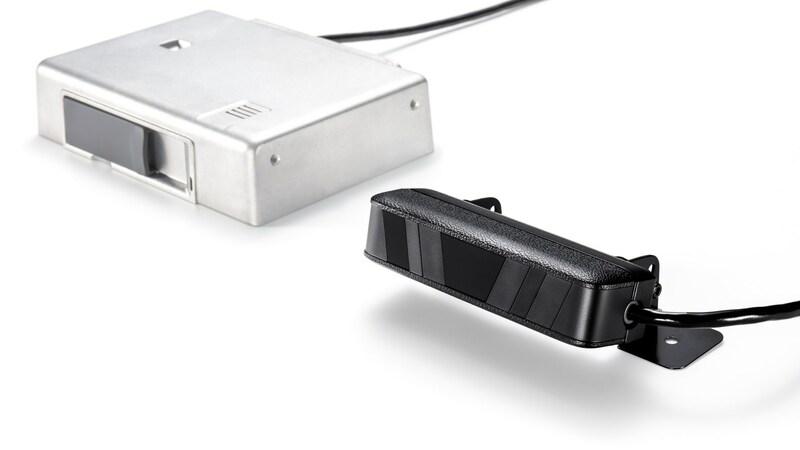 Japan’s Denso, which has its North American headquarters in Southfield, today announced it is debuting a driver status monitor, a device designed to reduce the number of traffic accidents involving commercial vehicles. The product uses a camera to monitor drivers’ facial images to check for distractions, drowsiness, sleep, and inappropriate posture, and will voice an alert if it detects a distraction. The device is available in Japan and will be released outside the country later this year. It can be fitted to existing vehicles. Drivers’ conditions are detected and recorded on an SD card, allowing an operation manager and the driver to review the driving status, including the number of voiced alerts and an image of the driver when the alert was triggered. Operation managers can also be alerted of drowsy or distracted driving in real-time, allowing them to caution the driver or take emergency action. The monitor can be linked with a telematics device for commercial vehicles released by Denso this summer and a cloud-based digital tachograph manufactured by Fujitsu Ltd.
Denso developed in first driver status monitor in 2014 and offers products for heavy trucks and sightseeing buses. Denso is a global automotive supplier of advanced technology, systems, and components in the areas of thermal, powertrain control, electronics, and information and safety. The company employs more than 23,000 people at 28 consolidated subsidiaries and four affiliates across North America.